Pete H & Nathan X are two very talented artists coming together for an exciting act. They bring an unique new sound to the music scene. Together, Pete H and Nathan X have a combined experience in the entertainment industry of over 25 years. They have played at bars, clubs, private parties and events up and down the UK. 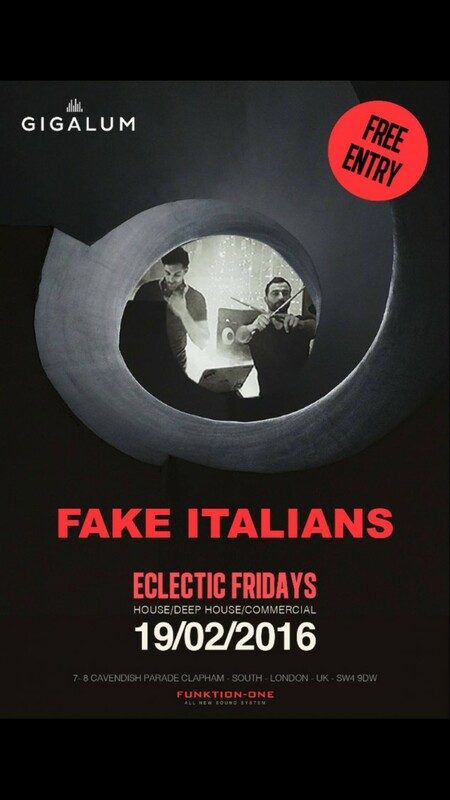 Fake Italians have also performed their DJ and Drums act in different parts of the world. The knowledge and expertise they have gained is used to bring something very special, unique and exciting to the table. Drums you will feel like your ears are bathing in an array of musical bliss, keeping the tunes up beat and the vibe off the scale. The duo have teamed up with Estelle Rubio to add a stunning vocal element to their performance to make their show even more unique and spectacular. Enquire now for more details! For more information about DJ Pete H – Read all about him on his personal profile. 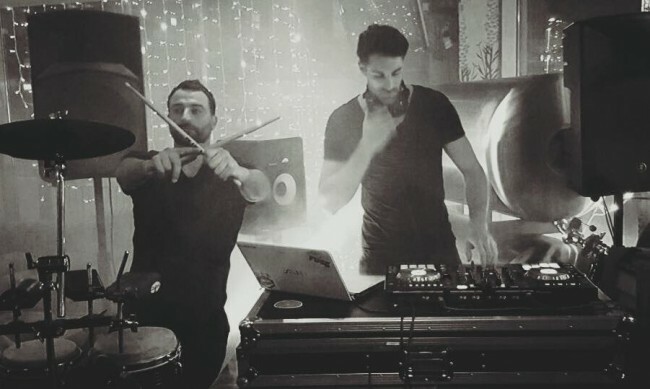 For Bookings, more information or any questions about DJ and Drums please don’t hesitate to contact us on 01322 412494 or send an email to info@platinum-djs.com.